Dell has introduced Datacenter Scalable Solutions (DSS), a new line of business within Dell’s Enterprise Solutions organization designed to meet the specific needs of web tech, telecommunications service providers, hosting companies, oil and gas, and research organizations. These businesses often have high-volume technology needs and supply chain requirements in order to deliver business innovation. Dell addresses this segment of web tech, hosting companies, telecommunications service providers, oil and gas, and research organizations differently from others in the IT industry. With a new operating model that leverages the high quality and stability of Dell’s enterprise and Data Center Solutions (DCS) portfolio, along with its global support and supply chain capabilities, Dell DSS is able to design optimized solutions to meet customers’ precise needs. Web tech, hosting companies, telecommunications service providers, oil and gas, and research organizations often require specific technologies or deployment models to address their unique business challenges and application needs. For example, one company might have software requirements in order to better manage data and provide competitive insights. Another might choose to install a non-traditional operating system and another might need thousands of additional servers around the world by the end of the week to meet unplanned demand. With a fast and nimble operating model that builds on Dell’s deep experience in understanding customers’ challenges, Dell DSS is able to meet these high-volume needs and create differentiated and optimized offerings for customers. In addition to supply chain optimizations and custom configurations, Dell DSS is able to quickly build new system designs for this market. 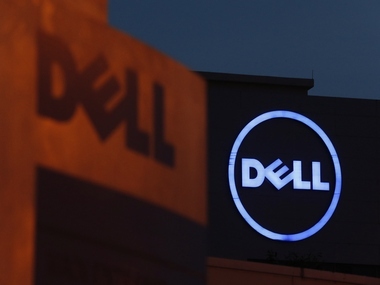 Dell will introduce its first DSS-branded products later this fall. "Dell Datacenter Scalable Solutions is a prime example of how Dell, as a private company, is able to be more nimble, make faster decisions and – most importantly – drive innovation on behalf of its customers," said Ashley Gorakhpurwalla, vice president and general manager, Server Solutions, Dell. "While others in the IT industry have been focused on marketing hype or reducing capex costs only, we’ve created a new operating model that is centered around flexibility. DSS is about understanding customers’ goals and enabling them to achieve those objectives by giving them purpose-built solutions that are designed when and how they want it." Dell DSS has also partnered closely with Dell Financial Services.